When The Eagles roared back onto the charts in 2007 with ‘How Long,’ the first single from their triple platinum comeback album Long Road Out Of Eden, the irony of the title wasn’t lost on fans of the song’s composer JD Souther. They had been asking that question ever since Souther — one of the premier architects of the classic ’70s ‘California Rock’ sound — went MIA after the tour for his 1984 album Home By Dawn. 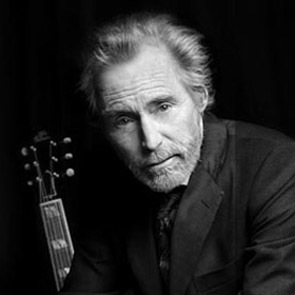 Though ‘How Long’ was actually an old song (it appeared on Souther’s 1972 debut album John David Souther), its recent success has paved the way for the singer/songwriter to return with If The World Was You, an independent release that marks his first solo recording in a quarter century. He is also embarking on his first tour since the mid-’80s, a 20-date cross country stint of small clubs in November and December. Like most of the Eagles hits back in their ’70s and early ’80s heyday, the Grammy-winning ‘How Long’ was a cross genre hit, reaching the Top 25 on the Billboard country singles chart, the Top 40 on the mainstream rock chart and rising to #7 on the Hot AC chart. Souther’s collaborations with the band reach back over three decades and include a handful of their most popular, era-defining songs: ‘Best Of My Love,’ ‘New Kid In Town,’ ‘Heartache Tonight,’ ‘Victim Of Love’ and ‘The Sad Café.’ Beyond his further collaborations on two of Don Henley’s solo projects (including a co-write on ‘The Heart Of The Matter’) and his own big 1979 Top 10 solo pop hit ‘You’re Only Lonely,’ Souther’s songs have been recorded over the years by Linda Ronstadt (‘Faithless Love’), Bonnie Raitt, James Taylor, George Strait, Brian Wilson, Brooks & Dunn, Crosby, Stills & Nash, Roy Orbison, Trisha Yearwood and Warren Zevon. During his so called ‘exile’ in the 90’s, he contributed ‘I’ll Take Care Of You’ to the Dixie Chicks’ breakthrough album Wide Open Spaces, which sold over 12 million copies worldwide. When it’s obvious that he could easily continue to live on his laurels and royalties, Souther’s enthusiastic return to studio and the road begs the question, why now? The simple answer: ‘I had something to say, and found a great way to say it.’ Elaborating further, the Detroit native (who grew up in Amarillo, TX) explains, ‘I can’t really give a clear picture of the past 20 years, or why I quit making records, except to say that since I’m crazy anyway, I may as well bring that insanity back into the studio. I was never the kind of writer who could produce on demand, but when I’m inspired, I’m very committed. And I know when the muse hits me, I better have my eyes and ears open because that inspiration is fleeting. I’m sort of like Lawrence Ferlinghetti, the father of beat poetry, feeling that I’m an artist and I couldn’t choose to do anything else even if I wanted to. 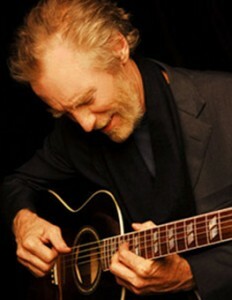 Because Souther is so well known for the 70’s country-rock sound, many fans don’t realize that he’s always been a major jazzhead; his second solo album Black Rose (1976), features genre greats Stanley Clarke and Donald Byrd in addition to Henley, Frey, Ronstadt, Art Garfunkel and David Crosby. If The World Was You not only includes a song specifically written to incorporate the vibe of Grammy-winning jazz fusion/bluegrass banjo virtuoso Bela Fleck (‘House of Pride’), its foundation is an ensemble of jazz-savvy musicians from Souther’s adopted hometown of Nashville: tenor saxman Jeff Coffin (a longtime member of The Flecktones who toured this year with Dave Matthews), pianist Chris Walters, bassist Dan Immel (some tracks feature Jim Mayer), drummer Jim White and trumpeter Rod McGaha. ‘I created the whole live gig rehearsal idea because I wanted the band to sound like a real band, not just a casual gathering of great musicians, and I needed to know what each of them was capable of,’ says Souther. ‘We worked with charts that were precise but because of the jazzy approach, there was flexibility if we wanted to extend a solo or take an extra chorus. It was important that we all knew the songs well and understood their basic motifs. As far as my method of assembling the band, I wasn’t so much looking for specific players and ones who would really invest in these songs with respect and understanding. I wanted them to bring a real songwriter sense to the sessions and look to all of the major musical giants who have inspired us in our lives as guideposts. The band took the content of my songs to heart from the very beginning.